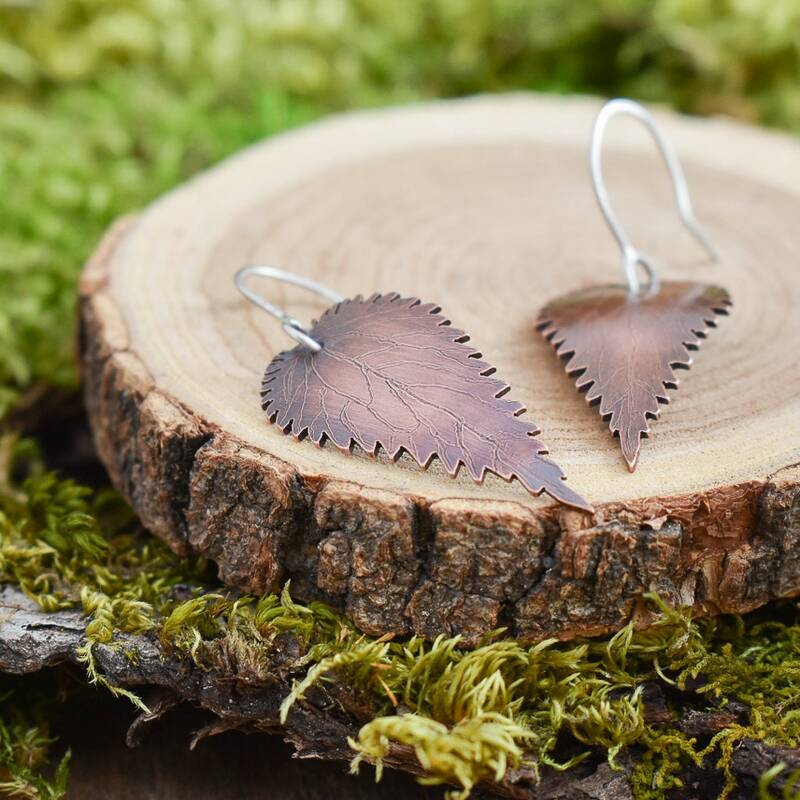 Both the hiker's scourge and the wild forager's prize, nettle is found throughout PNW forests. 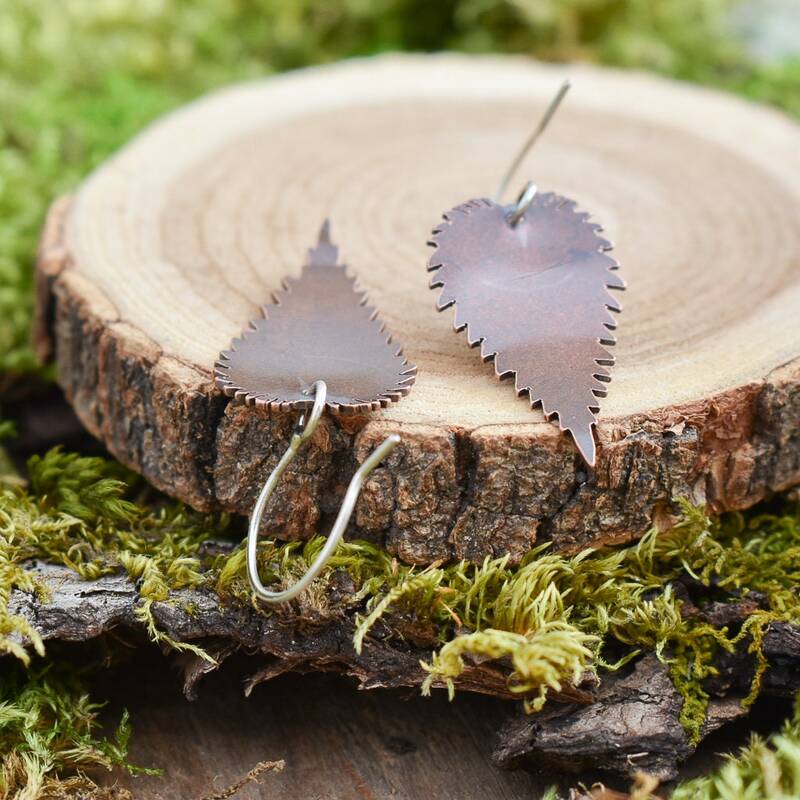 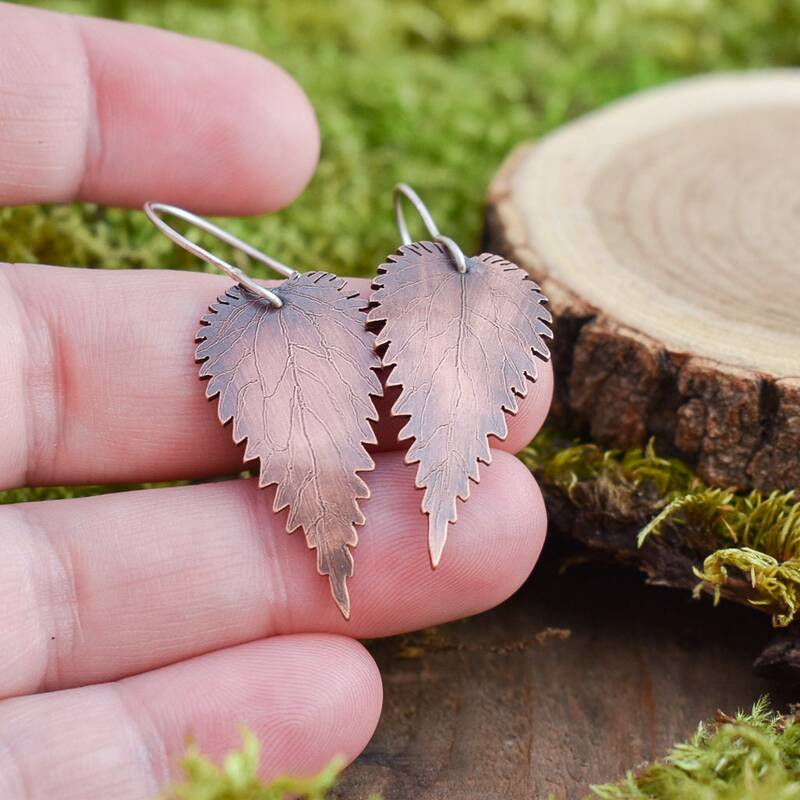 Luckily these dangly leaf earrings don't sting as they are are cut, textured, and formed from copper and a sterling silver shepherd's hook attached. 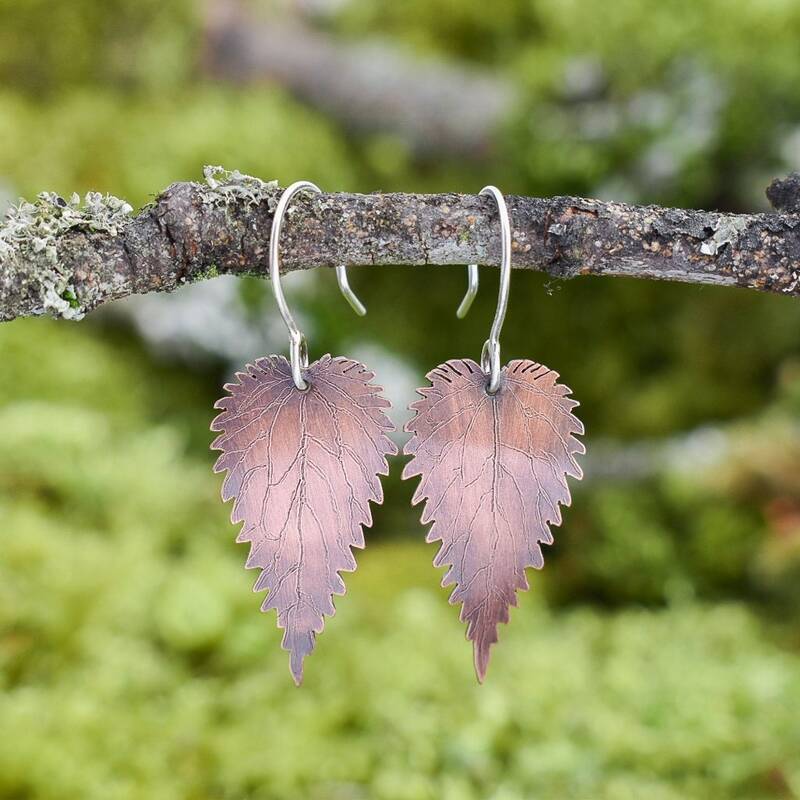 Each leaf features light, hand engraved veins.